Our grandmothers probably had no notion of what super-foods were, but they were very much right when they harped on eating an apple a day to keep the doctor away. In our search for wonder foods, we usually pass by the commonplace and banal apple, focusing our interest on some exotic food instead. It would therefore come as a revelation to some to know that the very ordinary apple actually has a host of health benefits which warrant it a position at the top of the super-food list. Well, what exactly is it about apples that make them necessary for our overall health. For starters, the high levels of antioxidants, phytonutrients and dietary fiber present in apples protect one from many potentially life threatening diseases such as cancer, diabetes and heart diseases. A detailed insight into its many benefits will change the way you view this fruit. It has been conclusively proven that eating apples on a regular basis can help protect you from cardiovascular diseases. Phenolic compounds which are abundant in apple skins have the ability to prevent the formation of plaque on artery walls, thereby keeping the arteries free of clogs. Pectin and polyphenols present in apples prevent LDL cholesterol from oxidizing. This is a very important point as oxidation of fats is a primary reason for increase in cardiac diseases. Thus, apples perform a very important function in protecting the heart. 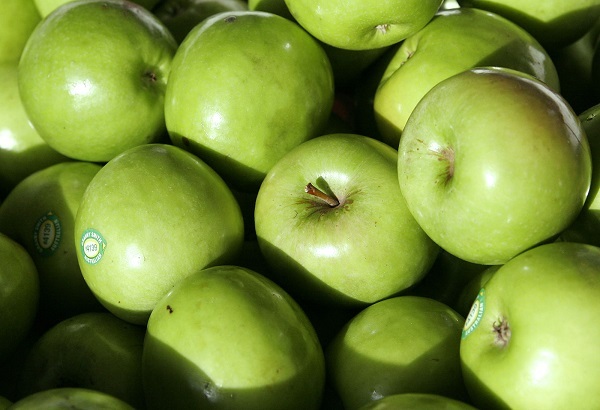 Procyanidins, an antioxidant contained in apples have the capacity to destroy cancer cells. Apple peel contains triterpenoids which nip the cancer cell activities right in the bud stage. 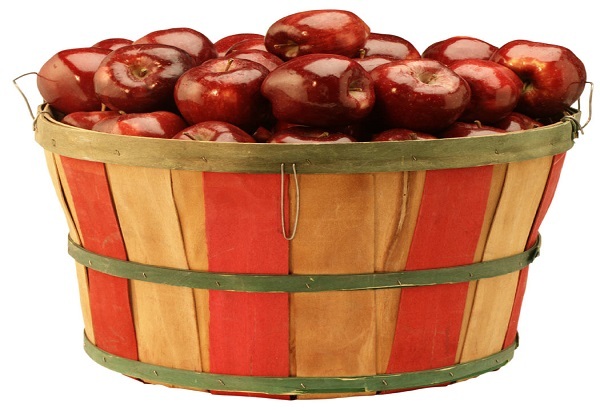 The high fibrous content of apples prevents many types of colon cancers. The fiber from apples when it reaches the colon produces a type of chemical which inhibits the growth of cancer cells in the colon. Apples are moreover rich in pectin, which destroys the free radicals responsible for many types of cancers. Apples must therefore be inculcated in one’s regular diet to minimize the chances of developing this dreaded disease. 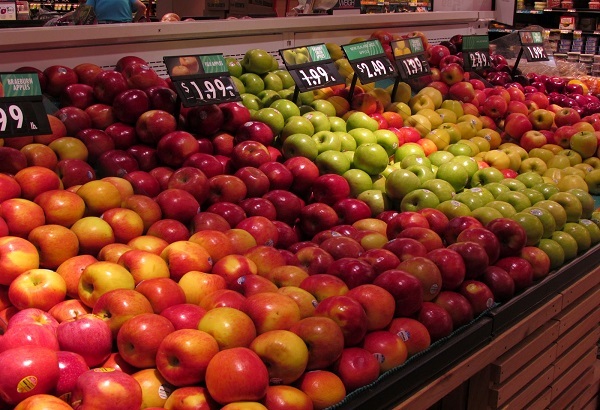 People who ate at least an apple a day are less likely to develop diabetes than those who hardly have any apples. It is because the flavonoids and polyphenols present in apples inhibit the proper functioning of carbohydrate digesting enzymes. The carbohydrates are not readily digested as a result of which lesser glucose enters the bloodstream. Moreover, the fiber present in apples ensures that blood sugar is released gradually into the body rather than in sudden spurts.Diabetes is a debilitating form of disease which leads to severe health complications further on, if not checked in time. So, doesn’t it make sense to have an apple a day to keep the disease at bay. Apples contain a decent amount of vitamin A and C that help boost the immune system and protect one against minor ailments. In addition to this, the apple peel contains an antioxidant called quercetin which especially strengthens the immune system. The antioxidants are generally concentrated in the peel, so be sure to have apples with the skin on. Apples are the ideal fruit to have when on a diet as a serving of apple yields only about 95 calories which is manna for people on a diet. Choc-a-bloc with dietary fiber, apples make you feel full so you tend to eat less thereby indirectly helping you to lose weight. Apples are thus the ideal fruits to have when on a diet as even with lower amount of calorie intake, one feels satiated and satisfied. Apples are rich in fiber which prevents the absorption of bad LDL by the body. What fiber does is that it attaches itself to bad cholesterol thereby preventing it from accumulating on the arteries in the form of plaque. Pectin, a form of soluble fiber, present in apples especially does not allow the absorption of cholesterol by the body. Try eating a whole apple as the effects would then be more potent. Apples are one of nature’s excellent tooth-brush. If you wish to retain your pearly whites without resorting to cosmetic surgery then simply have apples regularly. The mildly astringent nature of apples combined with its fibrous nature act as a natural scrub removing stubborn stains and plaque deposits restoring the teeth to their original condition. 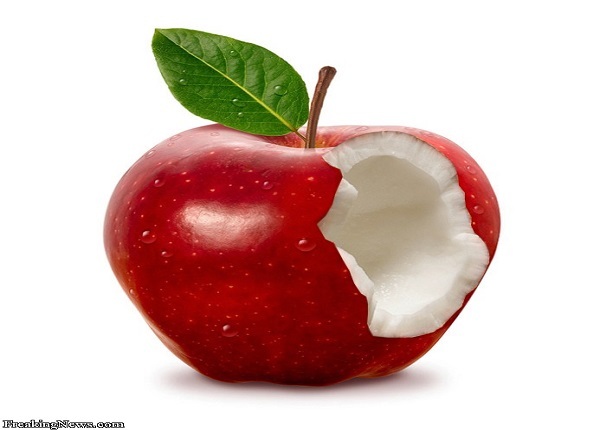 Chewing on an apple leads to the generation of more saliva. Bacteria have fewer chances of surviving in presence of saliva which results in lesser tooth decay. So, go ahead, munch on a crunchy apple and give your gums a nice massage. Those who suffer from a host of gastrointestinal diseases are recommended to take apples regularly. A rich fibrous diet ensures you have a smoother and regular bowel movement. Gallstones form when excess cholesterol gets deposited in solid form in the gall bladder. It’s a painful situation, but it can be avoided by taking apples regularly. A fiber rich diet comprising of apples can effectively fight against gallstones as fiber acts wonderfully against cholesterol. Whether we want to or not, we invariably end up consuming a lot of toxins, be it in the form of food or from the environment as such. Dietary fiber performs a wonderful function of cleansing and detoxifying the body of harmful chemicals ensuring a healthier body in the process. Thus instead of going for some fancy detox mechanism, wouldn’t it be better to consume an apple which does the cleaning job quite well, thanks to the abundance of soluble fiber in it. 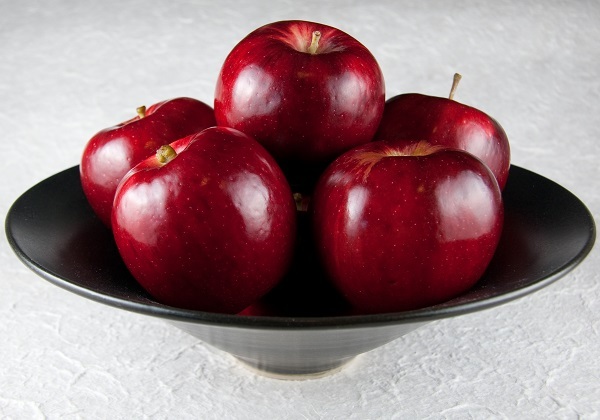 Apples are rich in quercetin, an antioxidant that protects nerve cells and prevents them from degenerating. It is seen that consuming apples leads to an increase in acetylcholine production; a neurotransmitter responsible for transmitting messages to other nerve cells. Apples thus not only help you retain your memory but also protect you against Alzheimer’s and dementia.